There is a reason capital campaigns (generally) raise more money than regular fundraising efforts. Part of it, yes, is that there is something concrete (pun not intended) at the end of the day. But much of it is because the fact that the money MUST be raised by a certain time or the building won’t be built (or renovated). That leads to a certain focus and a consistency that is often missed in ordinary times. Annual campaigns sometimes have that same consistency—particularly those that are time constrained. Certain things—mailings, phoning, perhaps an event—occur and that that campaign is done. For the most part (though not always), thre is an adherence to the timeline. Ongoing major and planned gift programs, however, often suffer from a start and stop mentality. Yes, we just were introduced to Mr. & Mrs. A and we need to follow up with them…but first we have to focus on the gala, the annual report, the you name it. And by the time you get back to the A’s, the excitement and interest they might have felt is most likely greatly diminished. The development director for one of my client organizations was bemused when I noted that we had to infuse their endowment efforts in their ongoing fundraising program. “We don’t have time for that,” she told me. “We fit it in as we can.” Which means it generally gets short shrift and many balls are dropped. Not to mention the slow slow growth of their endowment. Fundraising is a lot like parenting—you have to do it every single day. You wouldn’t say, “Let’s put the kids in the closet for a few weeks while we concentrate on our jobs.” Of course not. You’d figure out how to do both. So why do we think we can drop the ball on one aspect of fundraising and not face negative consequences? Those consequences, of course, are not raising money, losing potential or once involved donors, having to (once again) reinvent the wheel. And yes of course you are busy. So are we all. But—at the risk of repeating myself—there is a lot you can do in short spurts. It just takes being more organized than most of us are. Have that list of people to call always at hand so when you have a few minutes you can pick up the phone or write a quick note (and yes, email is more acceptable than it used to be—just remember it will probably require a follow up). Write a call report after every contact and figure out then what the next step should be—and when it has to happen. Recognize that it is all right to have what I’ll call interim steps that will keep a relationship building rather than veering off into stagnation. So, while you really want to bring the prospect for a tour or to meet your Executive Director, that might not be possible for 2 or 3 months. In between, send an article or video, connect them with someone else who cares about what you do, invite them to the talk that touches on your cause and which you were thinking of attending anyway. 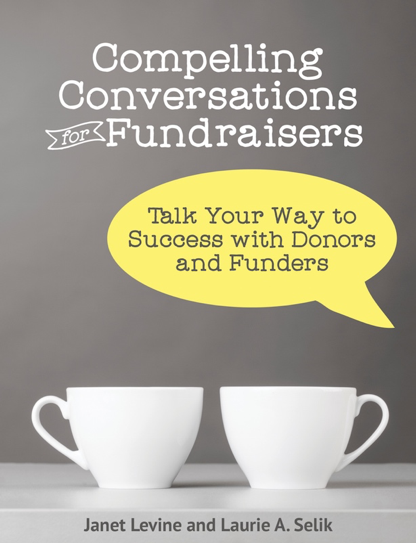 Be creative in how you keep fundraising alive. And mostly, be consistently. Time, it has been noted, waits for no man (or woman). Neither does fund development. This entry was posted in accountability, fundraising, productivity, time management and tagged consistency, development, fundraising, productivity, time management. Bookmark the permalink.